In April I became the first man arrested in the struggle for gender equality at the Western Wall. To be clear, in this case gender equality does not mean an egalitarian service in which men and women participate equally. Women of the Wall is a women’s prayer group, not an egalitarian prayer group. What they seek is the right to have a women’s prayer service as is common in many Orthodox congregations. I was also the first person arrested since the Sobel decision in which the Israeli appeals court upheld the lower court’s decision that Women of the Wall have the right to conduct prayer services according to their own custom. There is a current stalemate between the rabbinic policy maker at the Western Wall and the court’s decision. Like every law, the policies made by the Western Wall Heritage Foundation, a government-run and funded nonprofit, is subject to judicial review. 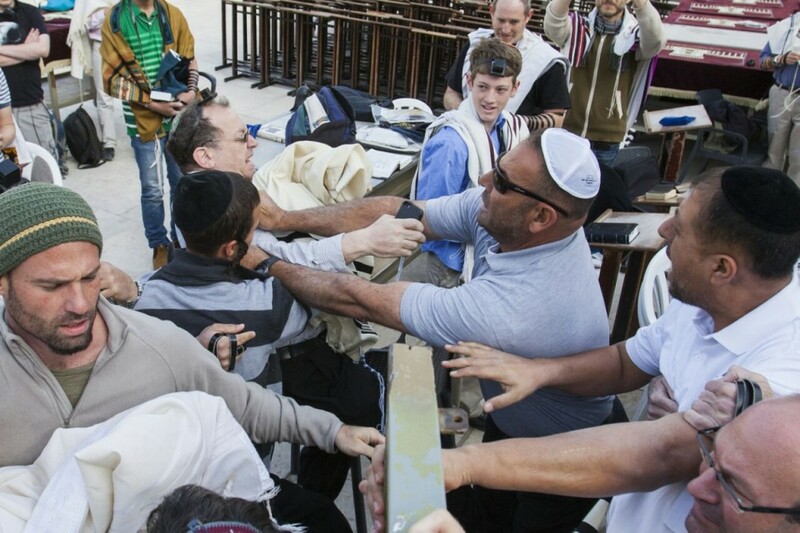 Rabbi Shmuel Rabinowitz, an employee of the WWHF, has set a policy that no one may bring a Torah scroll in or out of the Kotel plaza for fear that it may get mixed up with one of the scrolls stored there and that someone may try to steal a Torah. He has also ruled that women may not take one of the 100 Torah scrolls available for use at the Western Wall. 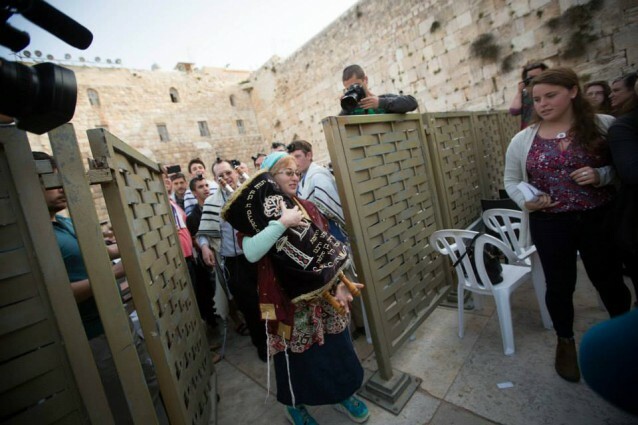 The stalemate is that while the court has ruled that women may read Torah at the Kotel, Rabbi Rabinowitz has ruled that they can not have a Torah to read. And herein lies the problem which will not be solved until someone is arrested and goes before a judge. The absurdity of my arrest is that it came as a result of my going to the police to report a crime perpetrated against me. The trumped up charges of disturbing the public order was only charged against me when I filed a complaint after receiving a head injury by someone who we assume works for the WWHF. While I will not go into all the details of what happened here, there are numerous places online where you can read about what happened; the most accurate of which is in the Jerusalem Post interview of me which you can access at www.kalech.com/wow-attack. Many people have asked why I support Women of the Wall. In fact, this month, the Jerusalem Post magazine had a large feature about the men who support Wow. You can read it at www.kalech.com/wow-attack/men.pdf. Since my days at Columbia University in the 1980s I have been labeled a feminist. However, in actuality I am not only a feminist. I believe in protecting the rights of those who have less power than I do. To me, this is an essential part of democracy. Democracy is not only the rule of the majority, but the protection of minorities. What is more, as a white, ashkenazi Jewish man in the State of Israel, I am a member of the most powerful segment of society. Having made aliyah after experiencing antisemitism, and knowing that my mother had to flee her birthplace after her family’s lives were threatened in Czechoslovakia in 1939, I feel a special obligation to protect minorities and those with less power than myself. The words of Pastor Niemöller are ever-present in my mind, as is Burke’s assertion that “All that is necessary for the triumph of evil is that good men do nothing.” The Torah also commands us not to stand idly by and so I do not. When I was a teenager and into my twenties, it was common for mixed groups to gather in the Kotel Plaza for prayer. By 1997, even when a group of us had obtained a police permit to pray together, once the ultra-Orthodox started a commotion, the police forcibly removed us. I was put in a headlock by a policemen for praying at the Western Wall. After that I did not return to the Wall for a decade. However, once the Sobel decision was passed, I wanted to stand in solidarity and support the rights which the court had upheld. Initially I was asked by WoW to help with some logistics and later I was asked to talk a more active role in the radical civil disobedient act of helping a women receive a sefer Torah at the Kotel. This occurred after an steady radicalization of policies inflicted by the religious right in Israel. These restrictions are becoming more and more extreme, especially at the Kotel and especially in regard to gender segregation. Last month, new signs appeared at the Kotel Plaza calling for the “absolute separation of men and women.” The bus route to the Kotel was the first public bus which separated men and women and eventually spread throughout Jerusalem and to other cities until it was outlawed by the Supreme Court. Much of what starts at the Kotel as a test case, spreads to the rest of Israel against the will of the majority. Gender segregation and the the delegitimization of women is something that the religious right in America is also promoting. Rev. Jesse Lee Peterson, a tea party activist who has appeared several times on Fox News said “I think that one of the greatest mistakes America made was to allow women the opportunity to vote…. We should’ve never turned this over to women…. They’re voting in people who are evil who agrees with them who’re gonna take us down this pathway of destruction.” He is joined by people like Ann Coulter, a social and political commentator, writer, syndicated columnist, and lawyer who frequently appears in the media has actually called for the repeal of women’s right to vote. It is a movement that has grown in strength. It was not my intention to get arrested. I simply did what I thought was right and to this day I do not think that I did anything wrong or broke any law. All I did was hand a Torah scroll to a woman who had opened the gate in the mechitza and walked towards me as I held the Torah. It was a simple act, but one that no one had ever done before. This entry was posted in Author's Favorites, Home in Jerusalem, Israel-Diaspora Relations, Published in The Jewish Community Voice of Southern NJ and tagged Israeli politics, Photos, pluralism, police, Torah on July 10, 2015 by charlie.